You’re driving down the highway when all of a sudden you see a police car with it’s light on behind you. 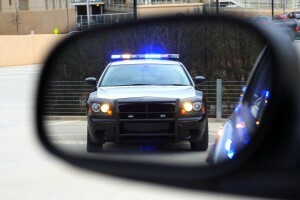 Do you know your rights are when you get pulled over by law enforcement? What do you have to do? What don’t you have to do? Encounters with police can be stressful, anxiety-producing and confusing for many people. It’s more important than ever for all citizens to know how to assert their constitutionally-protected rights when dealing with law enforcement. Now you can find out what your rights are during searches and arrests, police stops, and when being questioned by law enforcement. Next Tuesday, March 8, from 5:00 to 6:30 p.m., the ACLU of Colorado will present a Know Your Rights Training in Grand Junction. The training will be held at Colorado Mesa University, Houston Hall Room 139, 1100 North Ave., Grand Junction, and will be taught by ACLU speaker Kathleen Hynes, Ph.D. and will provide information and simple steps, based on constitutional protections and criminal case law, for handling interactions with police and other forms of law enforcement. This event is open to the public and completely free. We hope to see you there! Please RSVP to Alejandra Garza at agarza@aclu-co.org. If you can’t make the seminar, you can download the ACLU’s 13-page PDF brochure called KNOW YOUR RIGHTS about how to act during a law enforcement stop, and what your rights are. The download is free. This was the first notification I saw on this. A day late and a dollar short. That is too bad as this is an issue that the Law Enforcement Latino Alliance board is attempting to tackle this when it comes to young adults, especially young males from minority groups here in Mesa County. This is good information, but doesn’t really go far enough to encourage attendance or additional interest in the material. For example, the time and location might be of great assistance to potential attendees. For more information, please contact Dr. Bill Flanik at 970-248-1280. Also, the PDF guide can be accessed at http://ht.ly/Z05z6. Your site has made use of embedded weblinks in previous posts. Why not here? Keep up the great work getting the information out there. Good point. The missing information has been added.